Some people go to exhibits and enjoy the show, the items on display, and the artistry at work. Adam Savage attended the Kubrick traveling exhibit and found a huge flaw. 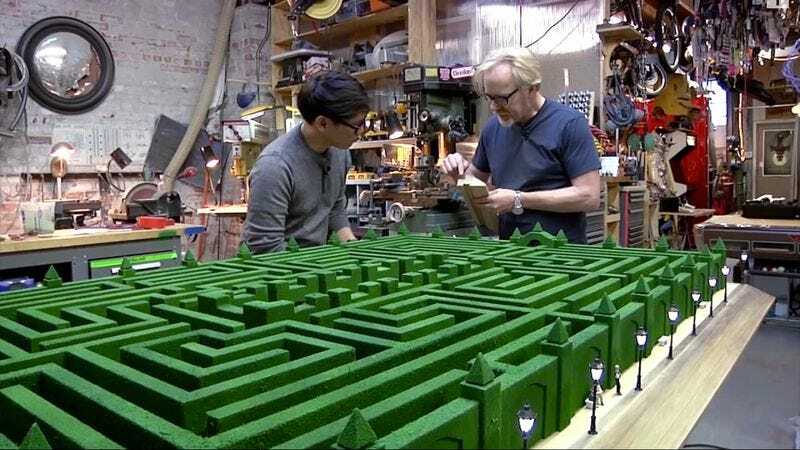 And while Savage is quick to point out that he admires the artist’s work in trying to recreate that difficult maze, he had a lot of problems with the final result. There were scale issues and some other detractions that spurred an obsessive completist like Savage to recreate the model more faithfully. In this video (put out by Tested) he debuts his new model, which will be joining the Kubrick traveling exhibit, and goes into great detail in its construction, the materials, and the manner in which he was able to more accurately convey Kubrick’s vision. So basically, for all future artists that are doing something Adam Savage might check out: Make sure your modeling skills are on point or he’ll devote days on end to showing you up.